RoboForex is a popular forex and CFD broker which offers a range of trading platforms including our favourite, cTrader. RoboForex has been operating since 2009 and is owned by RFG Holding. Before we get stuck in with this review, it’s worth mentioning that RoboMarkets is also owned by the same holding company. However, the two brands should not be confused for a couple of important reasons. The first reason is that it’s only RoboForex which offers cTrader. The second being that RoboForex is an international broker regulated in Belize, which means higher leverage can be offered. Whereas, RoboMarkets is a European broker regulated by CySEC and has very strict leverage restrictions imposed. RoboForex does not charge commissions for deposits or withdrawals. They cover all fees themselves. For traders who want incredibly high leverage, RoboForex offers leverage up to 1:2000. However, RoboForex cTrader doesn’t offer leverage that high. A whole bunch of promotions and offers which have mostly been eradicated by other brokers who are based in other parts of the world. RoboForex is a very well established and well-respected forex broker. The company opened its doors in 2009 and since then claim to have opened 865,000 trading accounts. While RoboForex has the typical trading platform offering which includes cTrader, MetaTrader 4 and MetaTrader 5 they also offer Umstel which is also known as R Trader and is used for trading stocks. RoboForex offers two primary account types on cTrader. RoboForex cTrader accounts types are called Pro-Standard and ECN-Pro NDD. Even though RoboForex does have many account types and unique selling points for each, sadly not many are available on cTrader. These benefits are dispersed across their different trading platforms. 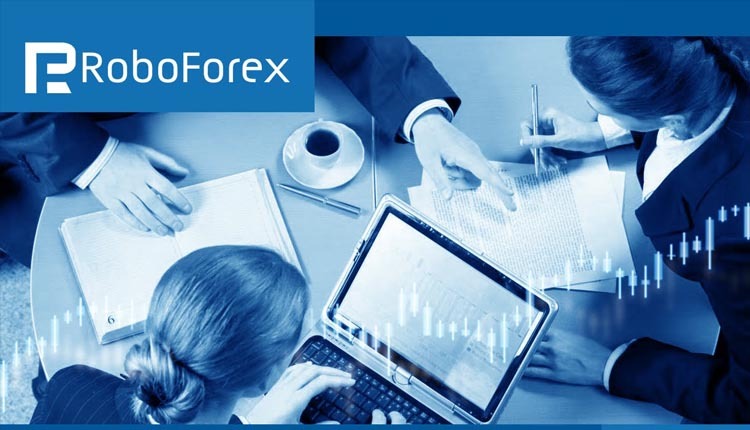 We’ve tried to highlight the trading conditions offered by RoboForex as a company and highlight any differences applicable to RoboForex cTrader. As RoboForex are regulated in Belize and Cyprus they have strong global coverage. The jurisdictions they prohibit are pretty standard in the industry. Payment methods are important and while it’s not highlighted in the table below, RoboForex has local wire transfer methods which cover Indonesian Rupia (IDR), Malaysian Ringgit (MYR), Thai Baht (THB) and Vietnamese Dong (VND). This is very valuable to investors in those regions as Visa and Mastercard are not common. Unfortunately, RoboForex cTrader doesn’t have cTrader Copy or cMirror enabled. This pushes interested traders towards their CopyFX platform and RAMM. Countries Excluded USA, Canada, Japan and Australia. Withdrawal Fees Usually free, but depends on some conditions. Social Trading Yes, but not on cTrader Copy. While we have covered a lot of the basics, we like to get stuck into some unique features that we feel help RoboForex stand out form their competition. While these advantages are not always financial, in this case, they mostly are. In recent years, regulation has pushed brokers away from offering incentives. RoboForex offers three types of Bonus. The first is a 30 USD Welcome Bonus, you can receive this just by depositing 10 USD via credit or debit card. While you cannot withdraw the bonus, you can trade it without any limitation, until your account is stopped out. 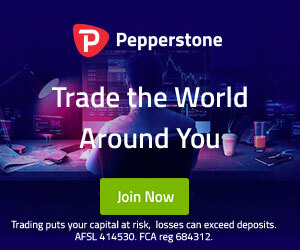 The second is a profit share bonus, with this promotion, essentially the broker injects some funds to your account, this increases your equity, but whatever profits you gain, proportionately will be repaid to the broker with the bonus, that may seem bad, but your losses are also proportionate as well. This bonus type is slightly complicated so check the terms and conditions carefully (which you should always do anyway). The third type is the Cassic Bonus and it allows you to get a bonus of up to 115%. You can withdraw the whole amount of this bonus, however, you need to trade 1 Lot for each USD of bonus that is given to you. While the bonus is active, you cannot touch your initial deposit until you either meet the trading volume criteria or cancel the bonus. Any losses you make, come from your money, not the bonus. As for the rebates, if you trade more than 10 Lots a month, you can get at least 5% of the companies revenue rebated to you. RoboForex offers regular trading contests. These contests do focus on MT4 but it’s a great initiative nonetheless. Traders have something to gain, which is the prize, yet do not risk their own investments, this is more engaging than standard demo accounts. There are a variety of different contests available and last for different lengths of time. Some are over a 24 hour period, some are over a month. If you deposit over 300 USD you will become eligible for a free VPS. To remain eligible, all you need to do is trade 3 Lots per month. However, the server specification that they offer doesn’t meet the minimum requirements for cTrader. Our cTrader Broker Index looks at a broker’s overall capacity at providing the best quality service with the cTrader platform. While we consider RoboForex to be a very strong broker in a lot of areas, they neglect to extend their strengths to cTrader users. A good example of this is that the free VPS provided by RoboForex isn’t powerful enough to support cTrader, trading contests, bonuses and copy trading are not available on cTrader, meaning their benefits are not tuned to suite cTrader. We rate RoboForex a 6/10.